By Melissa Lennig on May 18, 2018 Leave a Comment. This content contains affiliate links. As an Amazon Associate I earn from qualifying purchases. 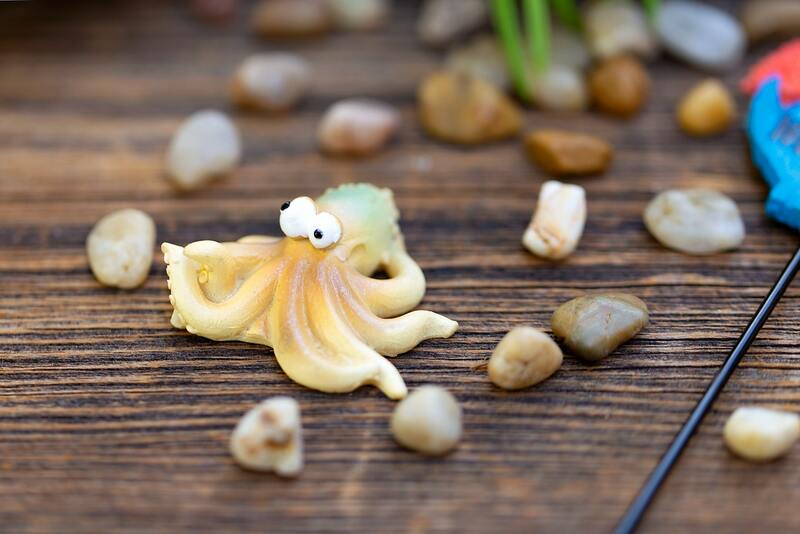 Inside: In this post, learn how to make a magical Under the Sea Teacup Garden for your home with succulents, a teacup and saucer, and ocean-themed fairy garden miniatures. 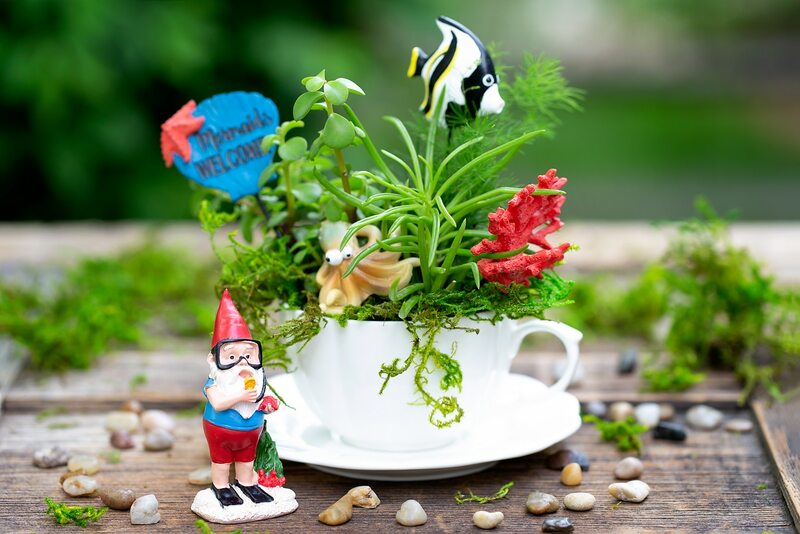 Summer is the perfect season for teacup fairy gardens! 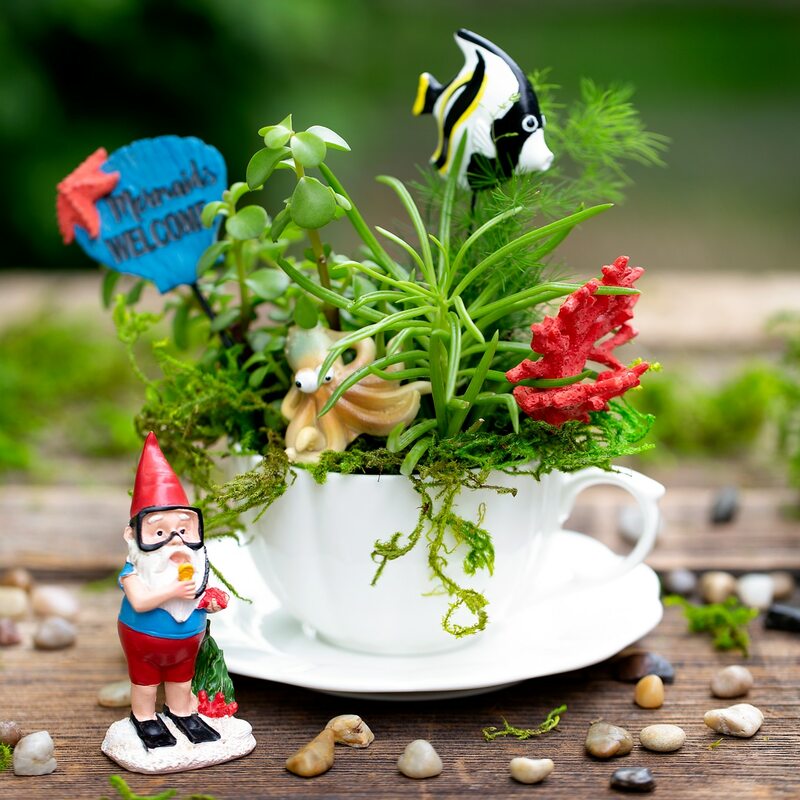 Whether kids are learning about the ocean, summer, gardening, or simply enjoying a creative nature activity at home, this easy and fun Under the Sea Teacup Garden is simply perfect for imaginative play. 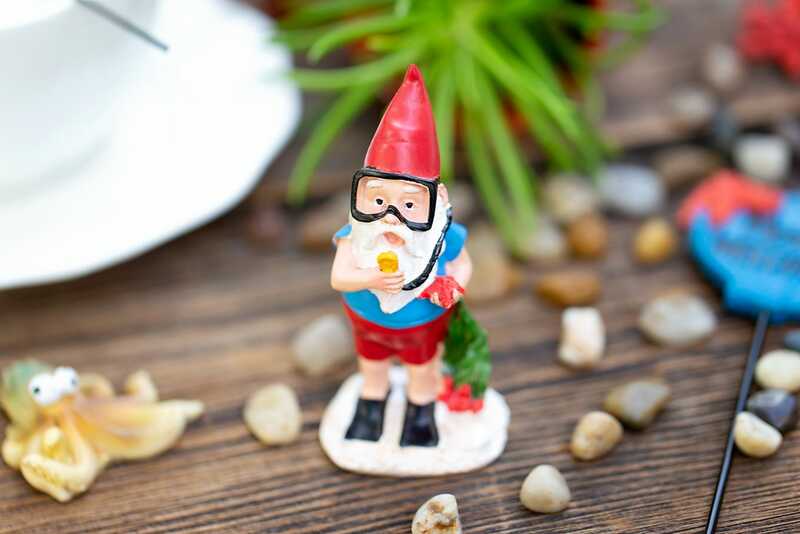 My kids and I are total suckers for the miniature resin gnomes, fairies, and fairy garden accessories at our local craft store. 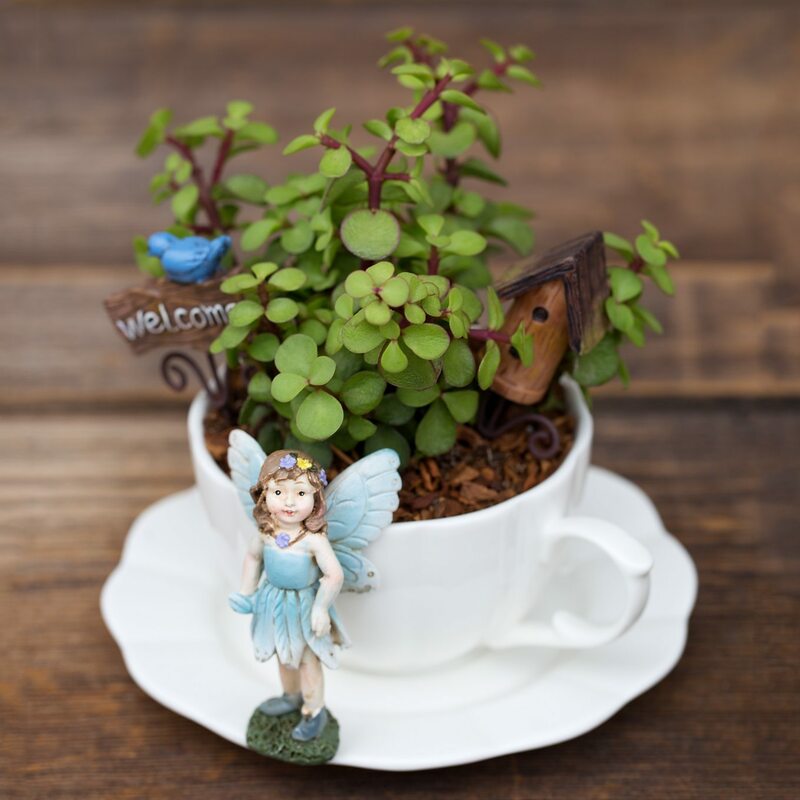 Whenever the season is due to change, we redecorate our simple white teacup fairy garden with new plants and accessories. It’s become such a fun tradition! This summer-themed Under the Sea Teacup Garden may be my most favorite yet! 1. 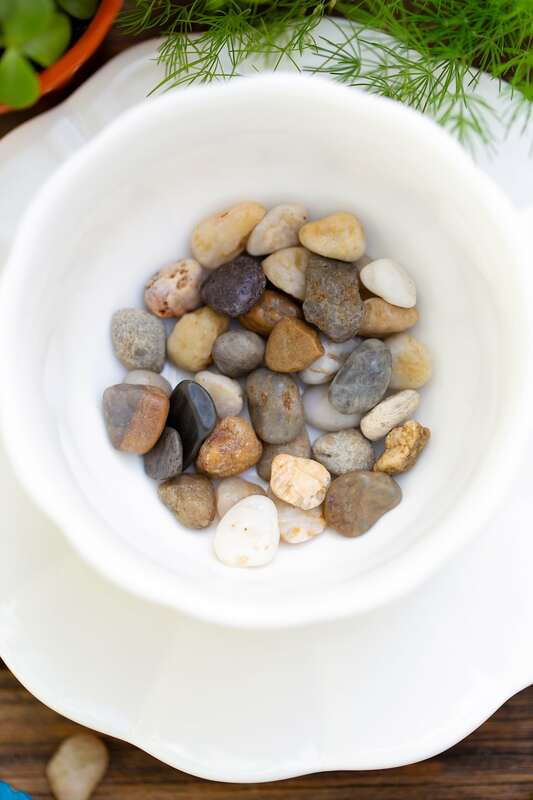 Begin by covering the bottom of your teacup with small stones so the soil can properly drain. 2. 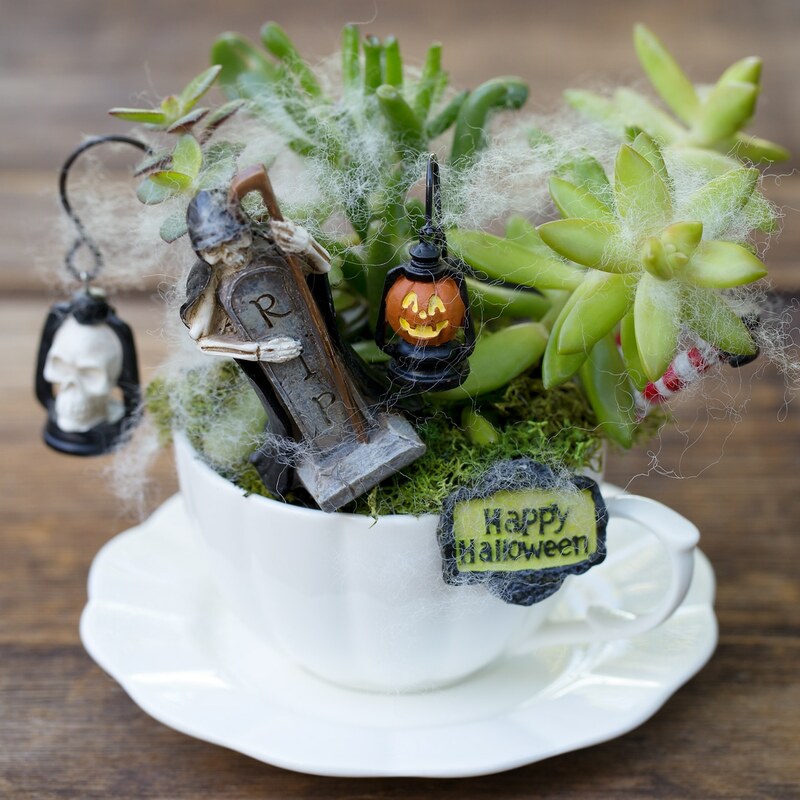 Plant the succulents in the teacup. Gently pat the soil to make sure the succulents are well-supported. 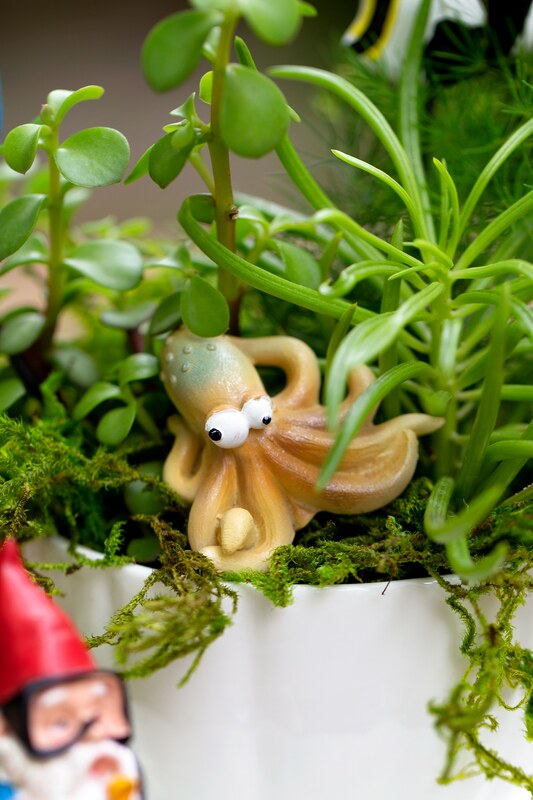 There are so many fun varieties of succulents to choose from! 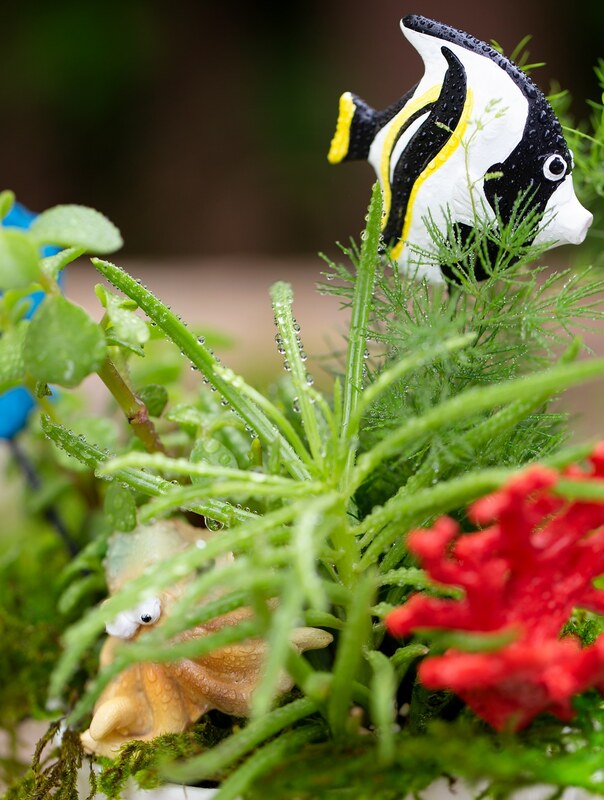 For this tiny garden, we chose 3 plants that looked like they could live under the sea. The wispy fern-like plant is my favorite! 3. Loosely place moss around the plants, allowing some to overhang like seaweed. 4. 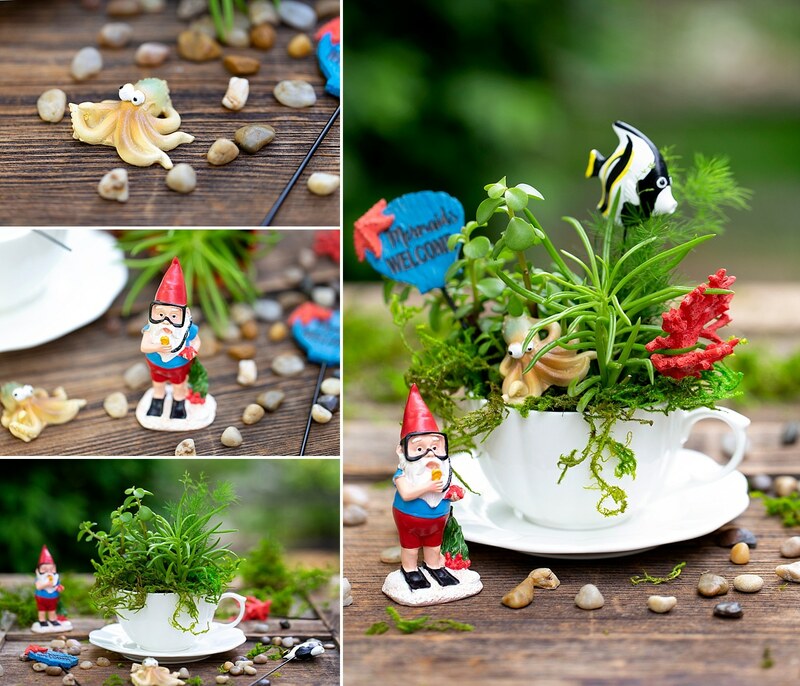 Carefully tuck summer and ocean-themed miniatures into the teacup fairy garden. 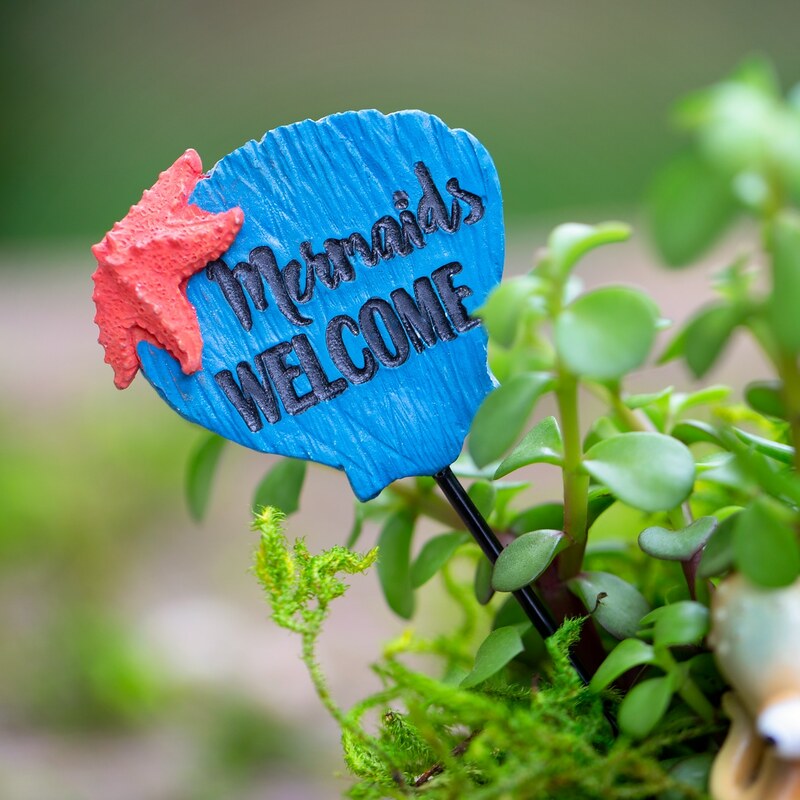 We used a “Mermaids Welcome” sign, a fish, coral, an octopus, and a scuba diving gnome! Isn’t he adorable? 5. 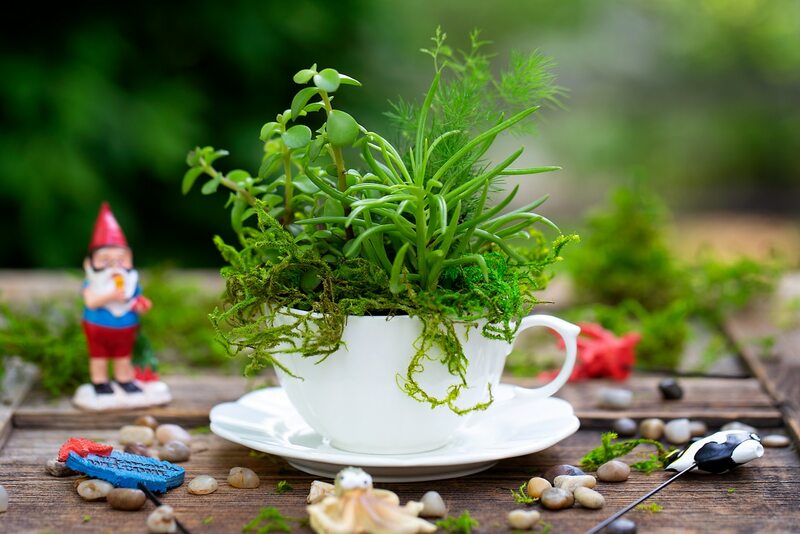 Last, water the teacup fairy garden, then place it in a moderately sunny location. 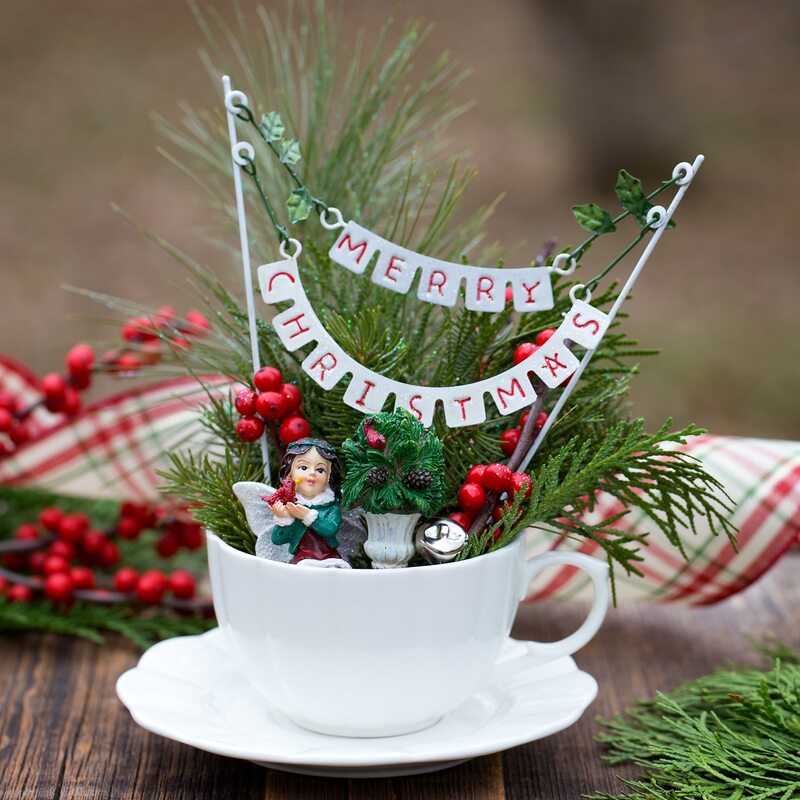 Because of their small size, teacup fairy gardens look great on fireplace mantles, end tables, and shelves. 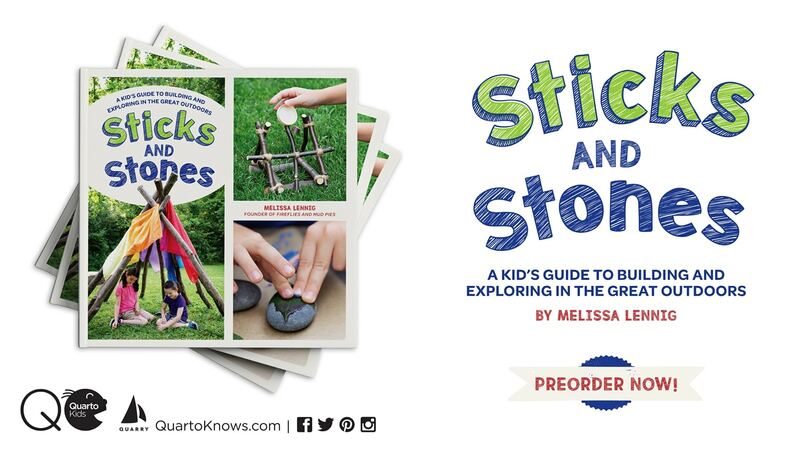 They are also a thoughtful gift for teachers, family, and friends! 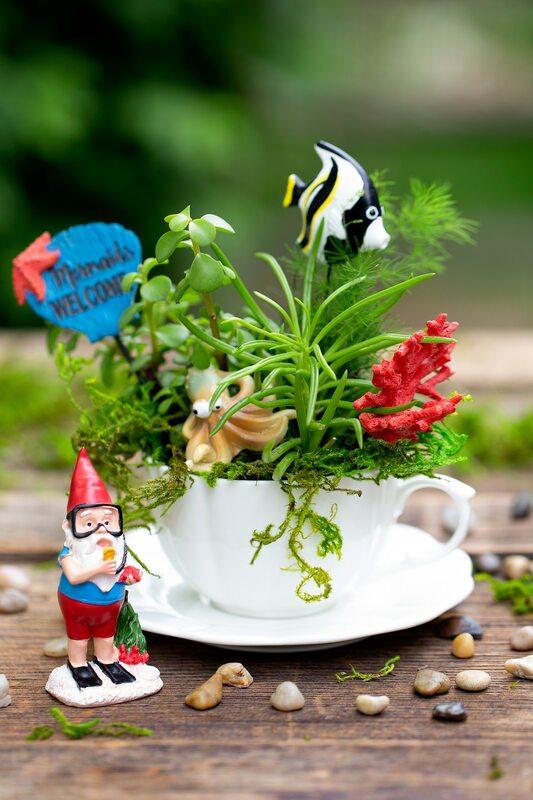 Click the images below to view more creative teacup fairy garden ideas!